Try 30 days trial for free. No credit card required. Every service business starts with a great team. But as this team grows, the challenges of scaling the business take more and more of the team’s energy. 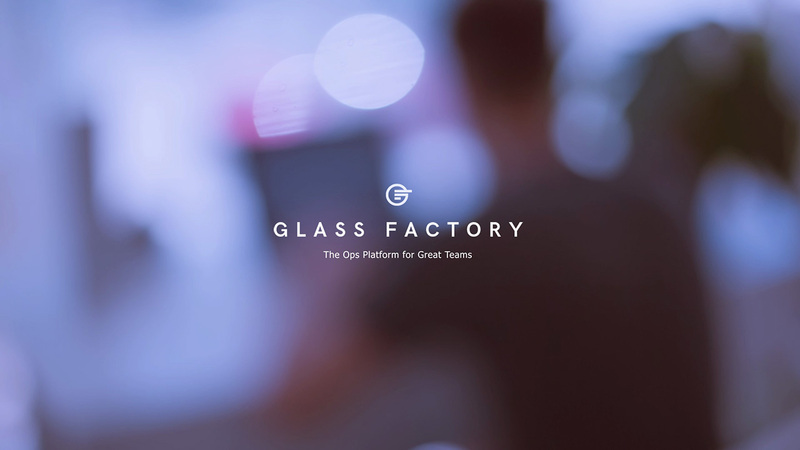 Glass Factory was created to help services teams scale their business. In a services business, your people are your business. By combining planning and forecasting with real time actuals tracking, Glass Factory provides unmatched control over the levers of your profitability. No other solution provides the ability to manage where your business is going, where it is today, and where it’s been to date. All great teams face the same challenges, no matter if you are 10 or 1,000 people strong. Glass Factory brings you data and control over the core moving pieces of your business. For each project, quickly create a powerful resource plan to schedule people, plan a budget, and identify resource utilization challenges or opportunities. Once the plan is active, track the plan versus actuals to remain on time and budget. See resource utilization by project across your entire organization. Slice and dice between individuals, roles and departments. See into the forecast for opportunities and learn from the actuals of the past. It’s all real-time and always up to date. 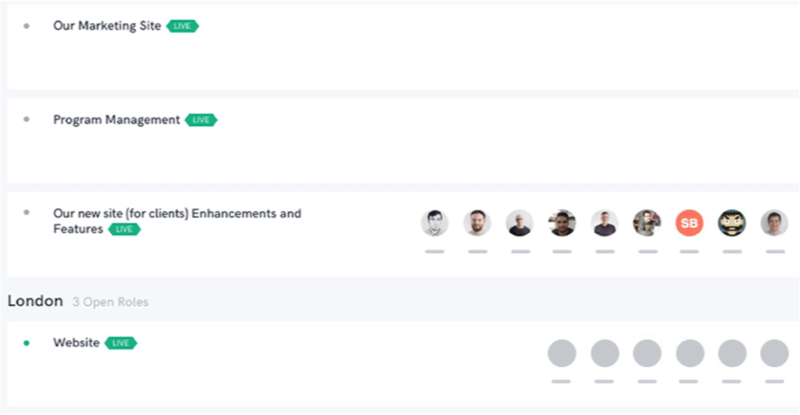 Drag and drop your team members into the best matched opportunities based on project capacity needs and your team’s actual availability. Be the resource management guru without ever using a spreadsheet. 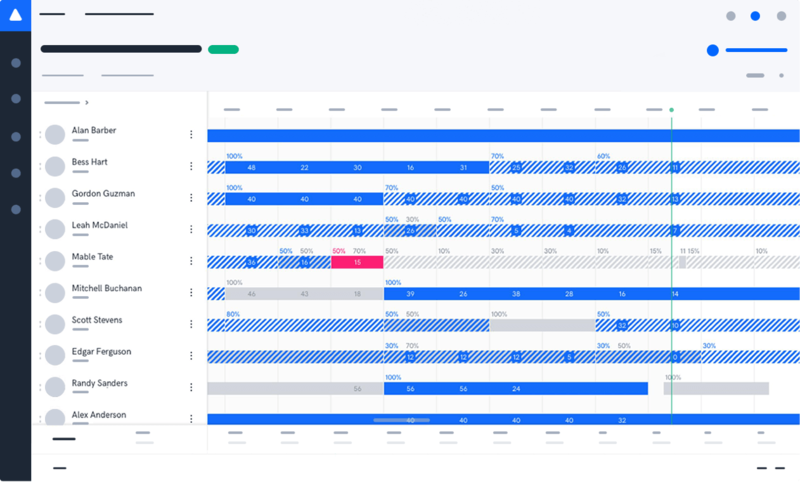 With each project team planned out, you can now see the future. Revenue, profitability, utilization is all forecasted. 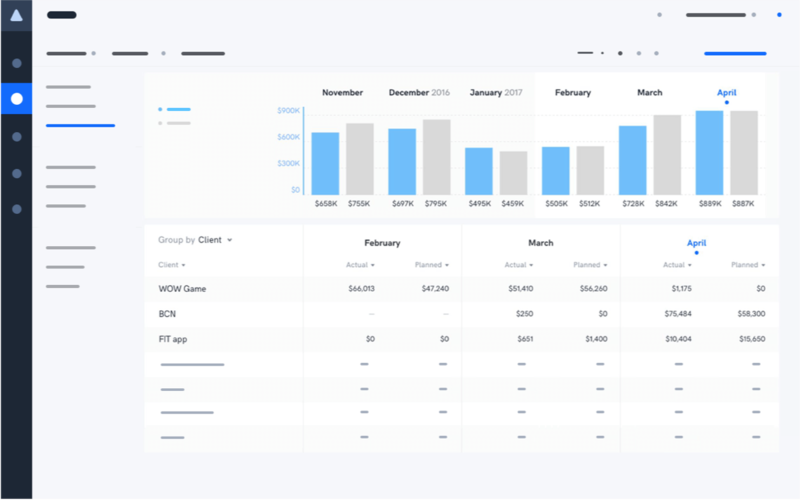 As actuals are captured, easily compare plan vs actual across multiple business metrics. All of this data is maintained, providing a rich reporting environment for optimizing your business. Capturing actuals is often a fundamental part of a service business. Glass Factory’s desktop or web-based time tracking capabilities are designed for simple and fast tracking, so that your team provides the data you need. Creating an invoice from actual time and activities is fast and easy in Glass Factory. A nicely formatted invoice with time and materials summary plus details can be created in minutes. 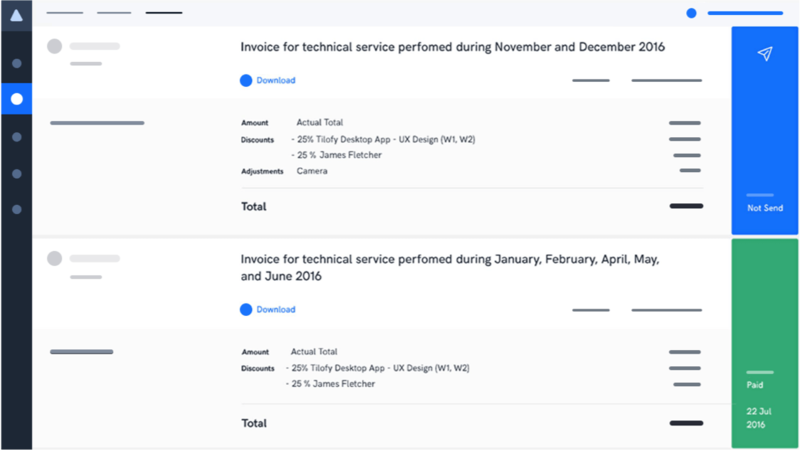 If you use Quickbooks, you can connect Glass Factory so that invoicing is integrated. Glass Factory is a tool for all levels of your organization, balancing the macro needs of executives with the micro needs of project teams. 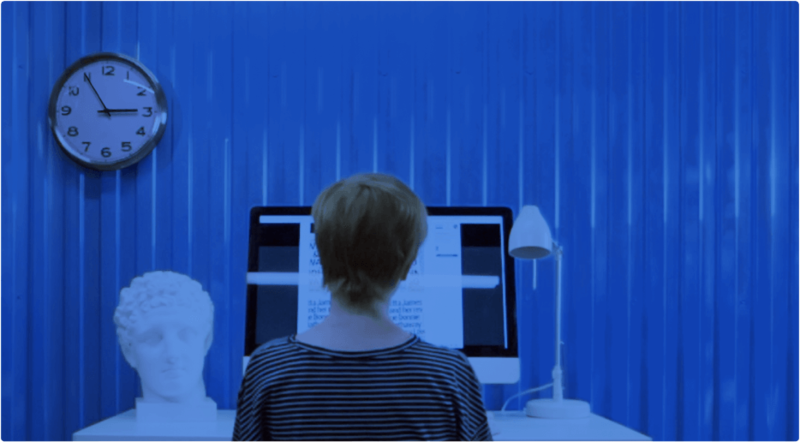 It‘s time to upgrade from spreadsheets and outdated software to a platform built for today‘s teams. Glass Factory is easy to use, intuitively designed and powerful at the same time. 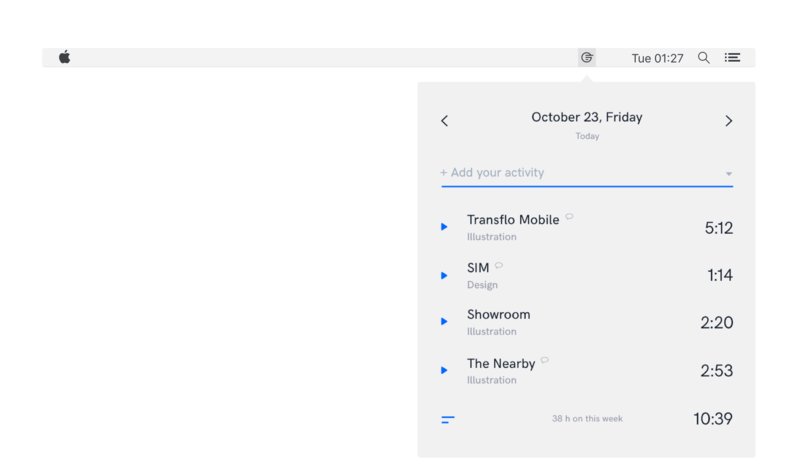 Glass Factory sits in the middle of your operation, allowing your team to use their favourite project task management and specialized tools. We believe it‘s impossible to create a platform that boils the ocean, so our goal is to allow you to integrate Glass Factory with the project tools your team chooses. We‘ve made tons of progress, but we‘re nowhere close to being done. We love working alongside great teams and identifying ways to make Glass Factory even better. Our mission is to help our clients scale their business. No card required. Easy cancellation. Copyright © 2018 Glass Factory. All rights reserved.